This entry was posted on September 2, 2011 by Bonnie. It was filed under Weather and was tagged with 2011, Autumn, Fall, Family, Hurricanes, Personal, random, Random Thoughts, thoughts, Travel, Vacation, Weather. I am in Miami. We sweat it every year. Been lucky since 2005. Hope it’s not our turn. I hope it doesn’t come anywhere near you either, Carl. 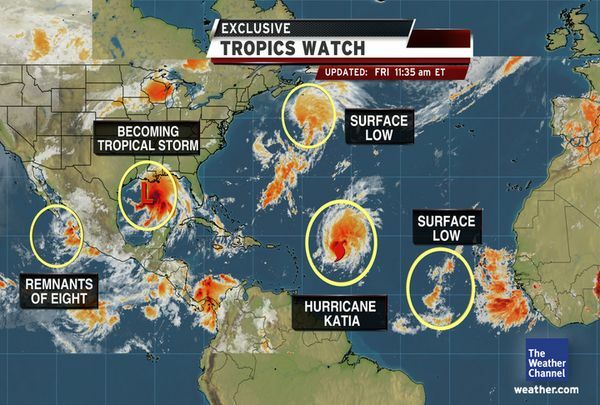 Florida has sure seen it’s fair share of hurricanes. I worry about hurricane in the US. Yes, Cocomino – seems as though it’s getting worse! Either that or we’re seeing more media coverage of them. I hope so too, Mom. She gets on the ship today at 1 and sails at 4 – at least she’ll be headed away from it.